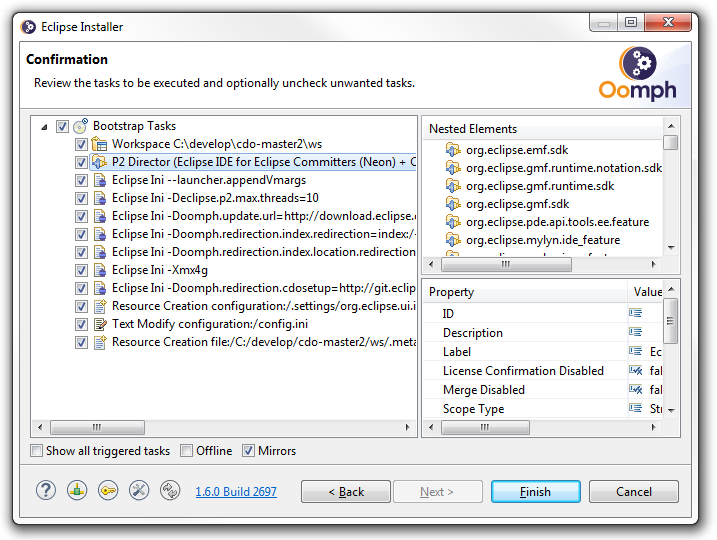 Please download and start the [[Eclipse Installer]]. The following screenshots show what to enter on the installer pages. Depending on what other IDEs you've installed before the actual pages might look slightly different and possibly require much fewer inputs. The following (fifth) installer page will show the progress of the installation and finally launch the installed IDE. Once the installed IDE is up and running the remainder of the workspace installation will start. 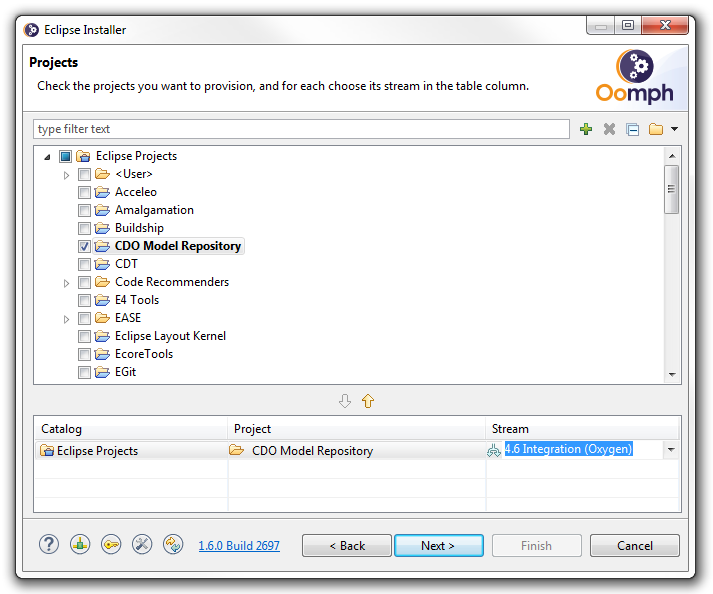 When that is finished all aspects of the IDE and workspace will be exactly the ones that the CDO developers use, too. You can update your development workspace by pulling the latest updates into your CDO Git clone and selecting the '''Perform Setup Tasks...''' action in the '''Help''' menu. 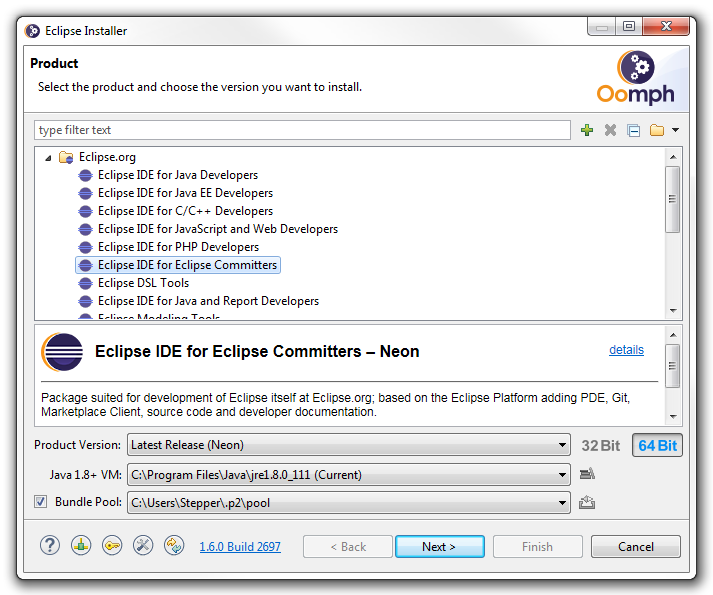 Please download and start the Eclipse Installer.